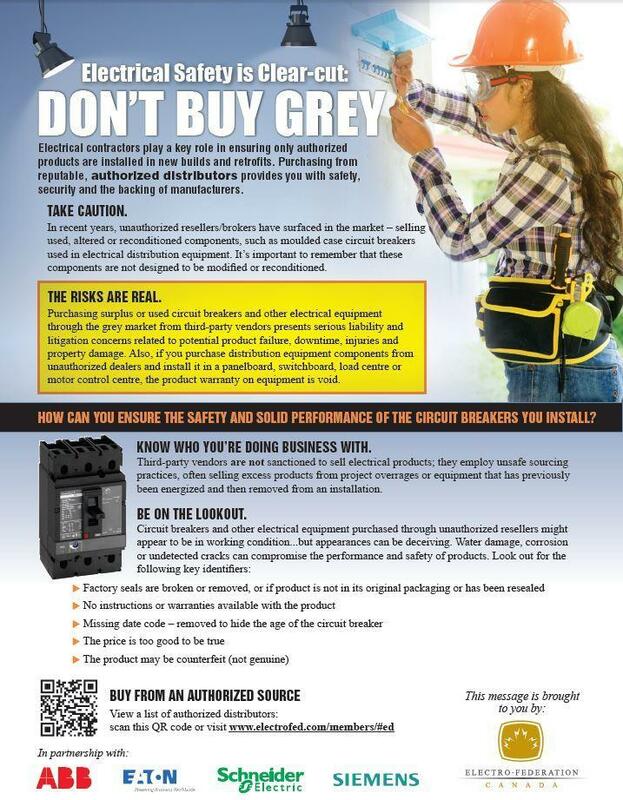 Electrical contractors play a key role in ensuring only authorized products are installed in new builds and retrofits. Purchasing from reputable, authorized distributors provides you with safety, security, and the backing of manufacturers. Please refer to the image below for more information.